For us, these last few weeks were mostly about our SEO conference YoastCon, but work on Yoast SEO went on as well. 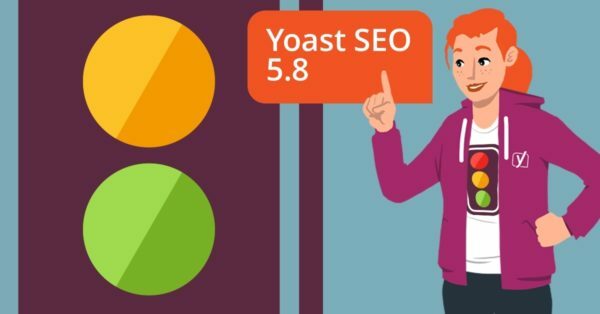 Today, we’re proud to present Yoast SEO 5.8. In this release, you’ll find a truckload of fixes and enhancements. I’ll share some of them in this release post and I’ll shine a light on all those smart community members who helped enhance this release. If you read the full changelog, one thing becomes instantly clear: this is a community effort. And that is something we’re grateful for. In Yoast SEO 5.8, we’ve got fixes and enhancements from no less than ten GitHub developers. Let’s go over some of these additions, shall we? Shane Grey, Saša Todorović and Damian Luszczymak all made suggestions to fix the layout of the Yoast SEO metabox. These fixes make sure that everything in the readability section now performs better on all screens. Both Chris Wilcoxson and Eivin Landa suggested introducing the wpseo_breadcrumb_single_link_info filter for modifying breadcrumb data. Soulseekah introduced the wpseo_redirect_orphan_attachment action to allow unattached attachment pages to be redirected in tune with the relevant setting. In Yoast SEO 5.5, we introduced SEO roles. These make it possible to give certain editors access to particular features of Yoast SEO, like the redirect manager. This gives site managers a more fine-grained way of access management. In Yoast SEO 5.8, we’ve enhanced this features, thanks in large part to Jory Hogeveen. We now integrate better with most role/capability manager plugins using the `members_get_capabilities` filter. We’ve also added a Yoast group to the Members and User Role Editor plugins to find the Yoast SEO capabilities easily. This makes picking and setting the roles even easier. This release not only fixes some bugs, but it also contains an extensive clean up of the code base. We’ve removed the old Knowledge Base Search code and now solely rely on the new search feature that was added to the revamped Help Center. Also, we’ve improved the codebase to make it comply with the latest WordPress Coding Standards. While a full integration into Gutenberg is still months away, we did add the possibility to check the content you made in Gutenberg. If you use the Gutenberg plugin to create your content, you can now switch to the regular editor and fine-tune your content with Yoast SEO’s readability and SEO analyses. As you might know, we’re actively working on integrating Yoast SEO in Gutenberg and improving the new editor where we can. Yoast SEO 5.8 is a great release chock-full of fixes and enhancements. In this release, we’re both cleaning up after us and looking forward to the future. We’d like to thank our community members that contributed to this and many other releases. We love your input. Now, update! 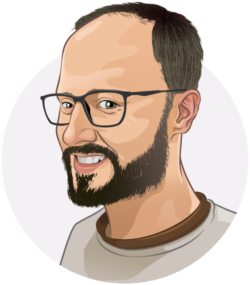 I had been using Yoast SEO for a while and recently moved to the Premium Version 5.8. Very pleased with all the additional functionality. Thanks to everyone involved! Thanks a lot for the update! Yoast has always been my number one plugin when it comes to fundamental on-page seo. Iam new to yoast seo premium, the update to 5.8 will not work, do I something wrong or do we have any problem here ? I used the YOAST seo and i loved! but, after the update on WordPress 4.9 the Yoast don’t it worked out more. it is very sad. Love yoast will update sites to 5.8 and would love to make the next yoastcon. Yoast is really my goto when doing SEO on clients, it still need a few tweaks in my opinion, but it hard to fix, since Google change their algoritme all the time (damn you Google). The meta title and description, can sometimes be to long eventhough the bar is Green. Pro tip, when making Meta titles and description, allways let the bar be 0.5 cm from the end, then you are sure that your titles wont dott in SERPS. Thanks for the tips, Mikael! Novice or at least mid level useability is the key….make it even easier to use and KNOW what one is doing….maybe more automated stuff would be great. I have 20 years in web yet still get stuck on your UI. Updating plugins to find they stuff my site GUI etc etc. Then I have to work out HOW to get it back to the way it was etc. Are you using the Remove Yoast SEO Comments plugin? If so, there’s a conflict. Deactivate that plugin and you should be ready to go. I use siteorigin pagebuilder and as far as I can tell Yoast cannot read the page, because it often tells me I don’t have the keyword in my first paragraph or their is too few words. Do this update address any of that. Yoast SEO 5.8 – after upgrading to 5.8, a blank page. Wow, its mean SEO made more easy for beginners as well as for experts. Personally, I am also using Yoast for my tech blog and going to replace the old version. I’m finding this frustrating. Now you have this RYTE which is like learning a entire new thing. I do not want this. Google is now asking me to install the optimize plug in and I can’t figure this out either. This plugin is fantastic. And yeah thanks for the update.